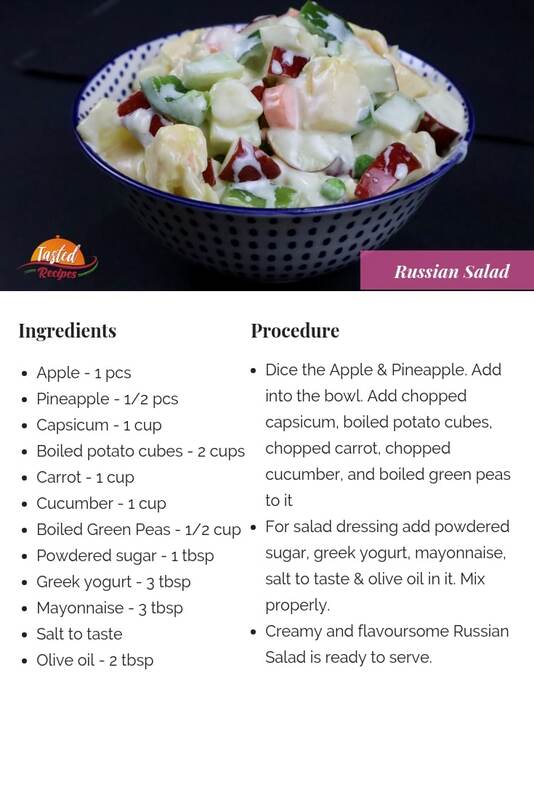 Russian salad is scrumptious & totally like a perfect meal for breakfast, lunch or dinner. The salad is very famous in many restaurants & it is served with you the whole meal. It is very creamy and tangy. 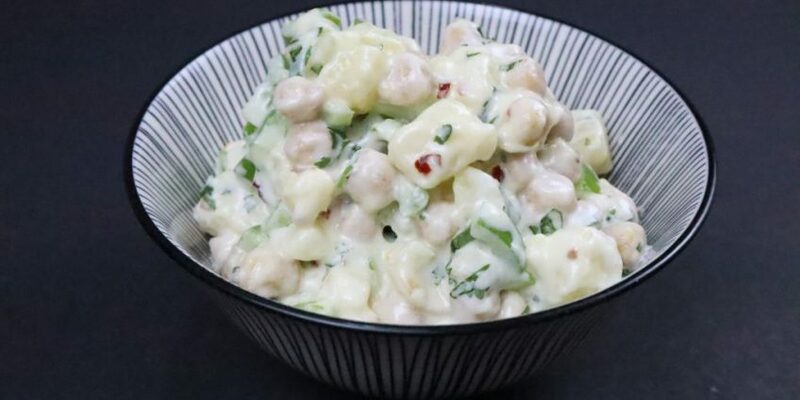 Russian people are fond of salads and the very interesting fact is that they only live upon it. Their morning starts with such amazing salads sprinkled with black pepper & salt. When I was working in Dubai, there was my colleague who was Russian and she told me how Russian salad differs from Indian salads. I was amazed by her everyday meals which only includes some fruits and veggies served with olive oil & salt. She was 45 years old at that time & looked like 35. I personally believe we should include a salad as the main appetizer in our daily meals for a lot of health benefits. 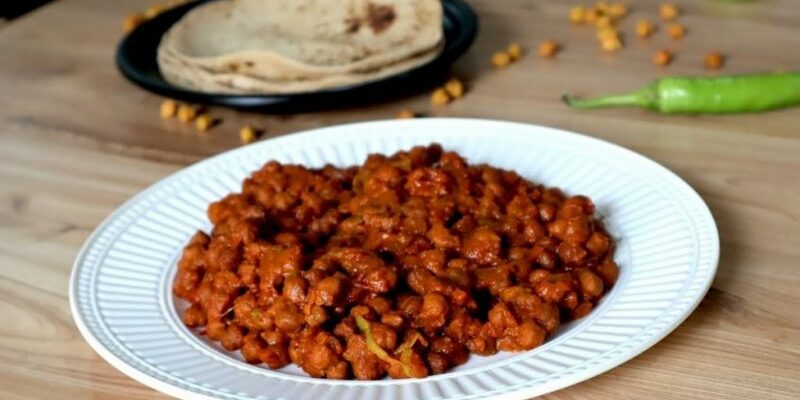 The main health benefit that you get is you eat veggies in the quantity which gives you immense stamina every day & your metabolism increases. 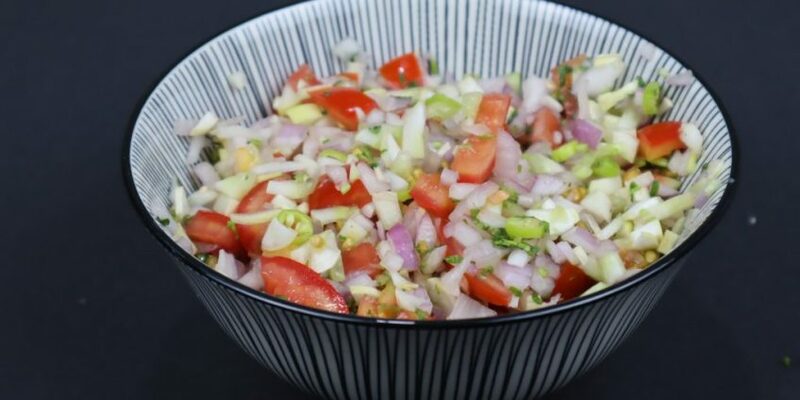 Try this scrumptious Russain salad & do let us know how much you liked it in comments. For salad dressing add powdered sugar, greek yogurt, mayonnaise, salt to taste & olive oil in it. Mix properly. 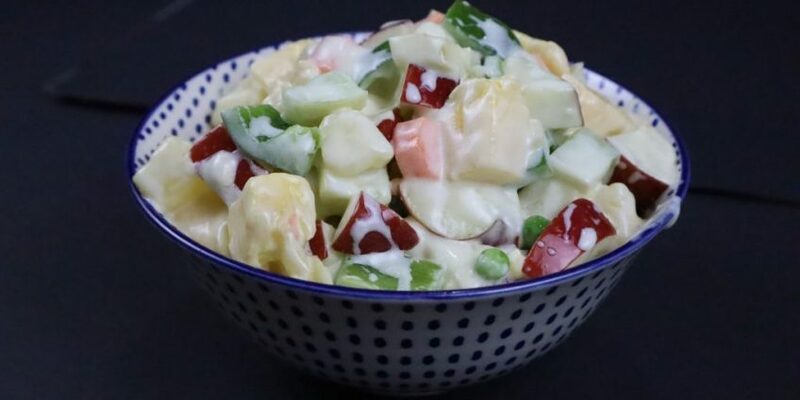 Creamy and flavoursome Russian Salad is ready to serve.